Begin preparation by getting you blender ready. Fill your selected glass with ice - it should be full and level to the top of the glass with ice. For this to blend correctly half fill the glass with milk. Depending on the size of your glass this is likely to be approximately 100mls of Milk. Brew 30 mlx of Espresso, into this mix 4 teaspoons of dark chocolate powder and stir to dissolve. Pour ice, milk, espresso mix & mint slice biscuits/cookies into your blender. Blend until it is completely combined, your drink should form the constancy of a frappe. Once complete, pour back into your glass & top with freshly whipped cream and some chocolate flakes or sprinkles, serve & enjoy! If you don't have access to Mint Slice biscuits, you could substitute these with hard mint lollies, about 3-4 would do the trick. This will give you the sweet minty taste needed to complement the chocolate. Looking for a drink that's a little hotter? 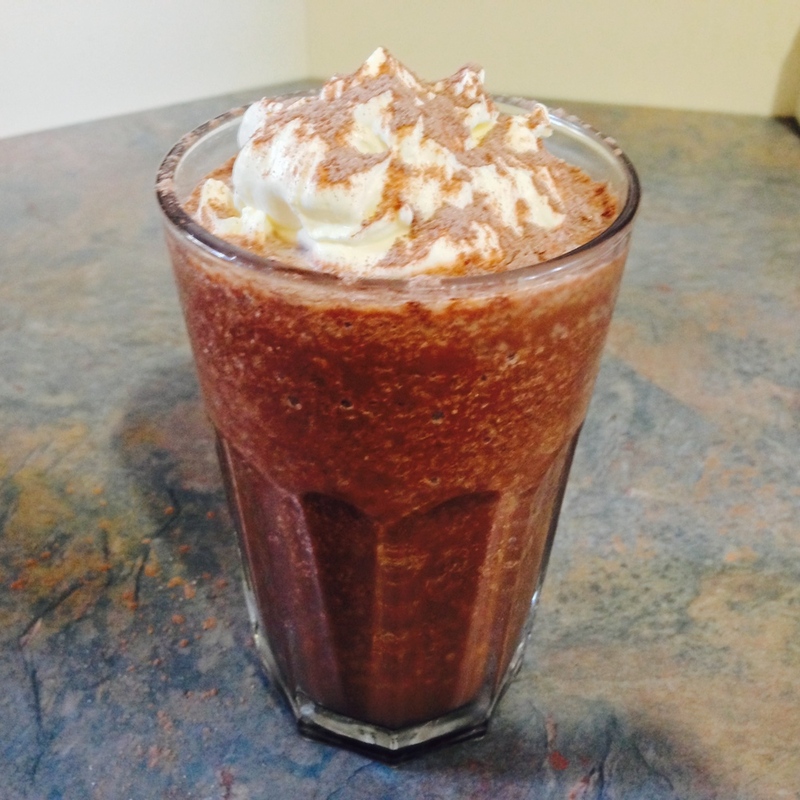 Why not check out our Chocolate Peppermint Christmas Latte recipe?